^ Witt, Charlotte; Shapiro, Lisa (2017). Zalta, Edward N., ed. The Stanford Encyclopedia of Philosophy (Spring 2017 ed.). Metaphysics Research Lab, Stanford University. ^ Hypatia's daughters : fifteen hundred years of women philosophers. McAlister, Linda L. Bloomington: Indiana University Press. 1996. ISBN 9780253210609. OCLC 33357980. Shapiro, Lisa. 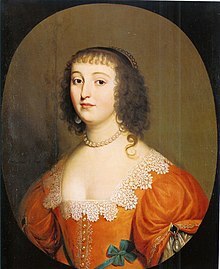 "Elisabeth, Princess of Bohemia". In Zalta, Edward N. Stanford Encyclopedia of Philosophy. This page was last edited on 9 April 2019, at 23:48 (UTC).